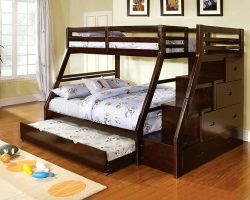 Built-in steps provide easy access to the upper bunk of this twin over full bunk bed. 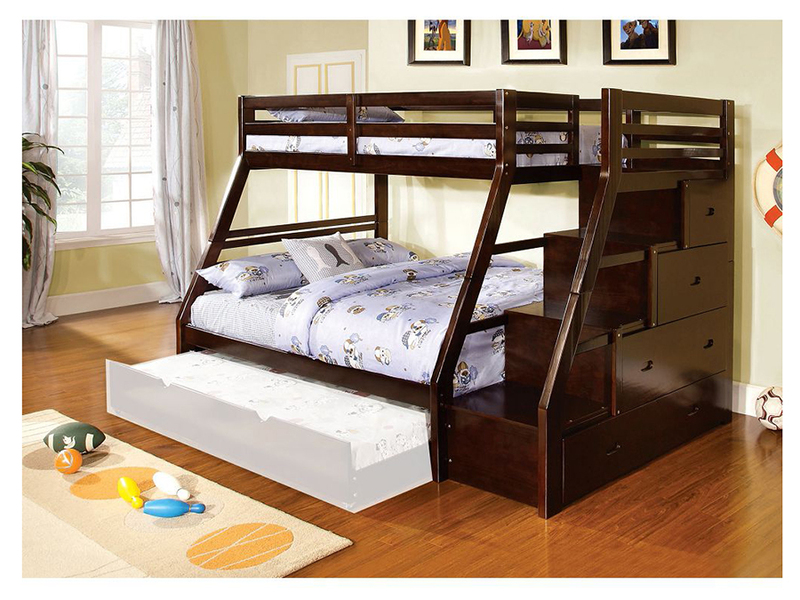 The bed also has built-in drawers with roomy storage. 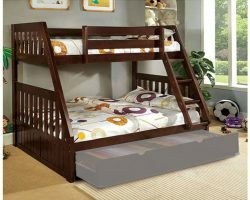 An slide-out trundle available. Finished in dark walnut. 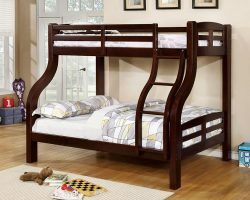 My husband and I bought this bunkbed for our girls and we love it! It is good quality for the price. The only problems we had were the screws they give with it weren’t quite as long as they needed to be for the middle vertical slab on the top but that was an easy fix. I also would not recommend the full size bed that we got to go with it, it’s wayyy too springy! 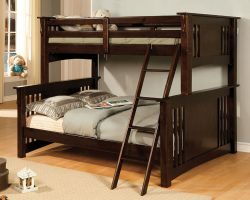 But the bunkbed and drawers are perfectly what we were looking for and in our price range. Bed is gorgeous. Really heavy duty.. the top bunk feels really sturdy. Took a while to put together but it is worth it. 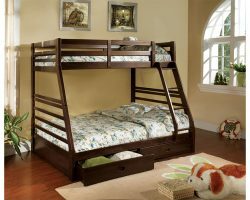 Great bed and a super deal. Also super fast shipping, will defiantly order from them Muuduu again!! !